Bengaluru: Karnataka Hospitals are soon going to be find out what rates to charge for what procedures, as the state government has now made a move in this regard. The State Government has set up an expert committee for recommendation of uniform package rates, classification, and standards of infrastructure in hospitals, and standard protocols for treatment in the context of Karnataka Private Medical Establishments (Amendment) Act. The rules of the Karnataka Private Medical Establishments (Amendment) Act were notified last year. Medical Dialogues team had earlier reported that despite the continues protest by doctors against the amendment of existing KPME Act, the government had gone ahead and passed KPME (Amendment) Act, 2017. The doctors’ association and several hospitals came forward claiming the package rates to be low and unreasonable. They submitted their representations in front of the state government to find a way to new rate fixation. Hindu reports that the uniform package rate committee formed is headed by the Principal Secretary, Department of Medical Education, the classification and standards of infrastructure committee is under the Health and Family Welfare Commissioner. The committee to fix standard protocols for treatment is headed by the director of Bangalore Medical College and Research Institute (BMCRI). Mallesh Hulumani, president of KPME Association, also nominated as a member of the rate fixation committee, informed the Hindu that the KPME Association and the Indian Medical Association (IMA) have done cost accounting studies of various procedures and have come out with standard rates. “We will place these studies before the committee during discussions. We hope the process will begin soon as the existing rates are low. With the terms of reference yet to be put in place, we are not sure when the committees will start functioning,” he further added. 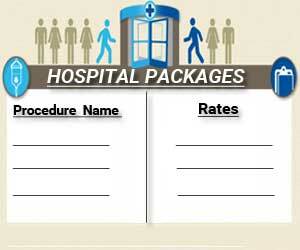 When it comes packages, procedure rate and praising ( rates). Sounds good . THE RDEAL PROBLEMS ARISES WHEN IT COMES TO BILLING OF CONSUMABLES, DISPOSABLES AND DRUGS , WHICH CAN VARY FROM 20 TO 200 % . THE PROCEDURE MAY MAY CAUSE 10000 , WHERE THE HIDDEN Charges may cost so much more , the patients family members may landup with massive heart attack, or may have to sell out all their assets, and may end up with FACING difficulty even to conduct the lost rituals.